Petros Evgenikos is Research Associate at the Department of Transportation Planning and Engineering of the School of Civil Engineering of the National Technical University of Athens (NTUA). He holds a Civil Engineering Diploma from NTUA (2001), an M.Sc. in Engineering Project Management from University of Manchester Institute of Science and Technology (UMIST), Manchester, United Kingdom (2002), and since 2009 he is PhD. candidate at the Department of Transportation Planning and Engineering of the School of Civil Engineering of NTUA. He has more than 10 years of experience in the field of transportation planning and engineering and his specialisation areas lay within Road Safety, Traffic Engineering, Transportation Systems, as well as within Management and Assessment of Engineering Projects. 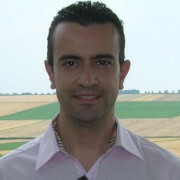 He has participated in 10 research projects, he has more than 30 scientific publications, he has participated in more than 40 scientific conferences and seminars, he is member of 2 ad-hoc Experts Groups of the EC, and he is evaluator and reviewer of research, road and rail infrastructure projects.